Debates rage today about the risks and benefits of modern technology -- driverless cars, robots and drones in warfare and commerce, surgery by robotic rather than human hands, the Internet of Things, artificial intelligence and genetic manipulation of food, organisms and even human beings. The National Institutes of Health recently announced that it plans to end the ban on funding research for part-human, part-animal embryos, raising urgent ethical questions like: What if this produces an animal with a partly human brain? But the origins of these very modern concerns date back more than a century, with lively discussions about "modernization" underway as early as the world's fair in Paris in 1900. One especially compelling, yet largely forgotten, analysis was penned by Henry Adams, the son of a congressman and diplomat, descendant of two U.S. presidents, a highly regarded historian and a conflicted technology enthusiast. His reflections were contained in his posthumously published autobiography, "The Education of Henry Adams." What if this produces an animal with a partly human brain? In a chapter titled "The Dynamo and the Virgin," he ponders the implications of the machine age, expressing deep concern over what he sees as a dangerous clash between the seductive grandeur of modern science and technology -- what he calls "the Dynamo" -- and the essential undergirding of humanity, religion and traditional values, which he christens "the Virgin." More introspective than descriptive, "The Education of Henry Adams" was awarded the Pulitzer Prize in 1919. It tops the Modern Library's list of the top 100 English-language nonfiction books of the 20th century, outranking Booker T. Washington's "Up From Slavery," Virginia Woolf's "A Room of One's Own" and Rachel Carson's "Silent Spring." Today, Adams's work is not nearly as widely known as those, but not for lack of merit and timeliness. Indeed, one could argue that it is even more relevant today than it was when it was written. After studying exhibitions on art, science and technology at the world's fair in Paris, Adams concluded that -- despite his own appreciation of the merits of "progress" -- Americans were too ready to embrace new technology at the cost of traditional values. This raised for him a disquieting question for the dawning century: Will the human spirit survive the new age of the machine? Adams was anxious that American culture was about to take a fateful turn, sacrificing traditional values on the altar of technology. Prompting his reflections was a visit to the Hall of Electrical Machines. He fixated in particular on one of the gigantic dynamos on display. Its purpose was beside the point. Adams's focus -- and his fear -- centered on its size and mechanism, its "huge wheel, revolving within arm's-length at some vertiginous speed" while making hardly a sound. Its workings, he wrote, were an unfathomable but seductive mystery -- one that left him in awe. The dynamo became for him the incarnation of modernity and a symbol of the "revolution of 1900" -- interwoven revolutions in science and technology that ushered in, most impressively, the new age of electricity, along with automated production, the car and the airplane. And then there was the art. Adams contrasted the dynamo with the figure of the Virgin, which he suggested was the central inspiration behind much of what he had viewed in the fair's acclaimed art pavilions. The Virgin became his symbol for Christian tradition and, equated by Adams to the Roman mythological Venus, the female force in general. Looking to the future, he wondered if the god of technology, the dynamo's apotheosis, was on the verge of replacing, as he put it, the church and the cross. Adams was in fact seeking a middle ground between religion and science. Will the human spirit survive the new age of the machine? Adams's guide through the Hall of Electrical Machines was a leading American scientist, S. P. Langley, the secretary of the Smithsonian Institution. Although holding Langley in the highest esteem, he wrote of being puzzled and a bit disturbed by the scientist's laser-like focus on machines and forces, to the exclusion of the art displays and all else that was non-scientific at the fair. 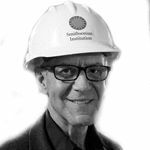 "Langley," he wrote, "with the ease of a great master of experiment, threw out of the field every exhibit that did not reveal a new application of force, and naturally threw out, to begin with, almost the whole art exhibit." Adams, writing in the third person about his experiences, described how Langley taught him to appreciate, if not really understand, recent discoveries in radioactivity, radio and electricity. "[Adams] wrapped himself in vibrations and rays which were new, and he would have hugged Marconi and Branly [the inventor of the Branly coherer, one of the earliest radio wave detectors] had he met them, as he hugged the dynamo." Long fascinated by modern physics, Adams later experimented with applying physical theories to the theory of human history, even in the face of skeptical feedback from scientist friends. But it was the dynamo that excited his strongest reactions at the Paris fair: "As he grew accustomed to the great gallery of machines, he began to feel the 40-foot dynamos as a moral force, much as the early Christians felt the Cross ... Before the end, one began to pray to it." Indeed, Adams later did pray to it, composing a poetic tribute, "Prayer to the Dynamo: Mysterious Power! Gentle Friend! Despotic Master! Tireless Force!" he wrote, with more than a hint of ambivalence. The rush of discoveries in science and technology sometimes left him longing for the solace of tradition, security and unity that he associated with medieval society and the church. That people who now seemed to be turning away from the Virgin worried him, for he believed it could mean the end of the great artistic traditions that were propelled by the power of Christian faith, "the highest energy ever known to man," surpassing even the power of the steam engine and the dynamo. Adams noted that in Europe, the "force of the Virgin was still felt at Lourdes and seemed to be as potent as X-rays," while "in America, neither Venus nor Virgin ever had value as force." Despite his personal religious skepticism (he was attracted to religion but remained agnostic, never really reconciling the truths of science and religious faith), he regretted that his countrymen were apparently throwing in their lot with the machine worshippers. So, what does Adams have to say to us today as we confront the dilemmas of our own technological revolution? Adams was enthusiastic about modern science and technology -- today we might refer to him as an early adopter -- but he remained an essentially 19th century man, mindful of the challenges to society posed by 20th century technology. His hope was that dynamo and Virgin would ultimately join together in support of both our spiritual and material lives. To be sure, we no longer speak of dynamos and Virgins, much less of "hugging dynamos." Yet, in many ways, Adams was extraordinarily prescient. With today's advances in artificial intelligence and genetic manipulation, we face the very existential crisis that Adams foresaw. 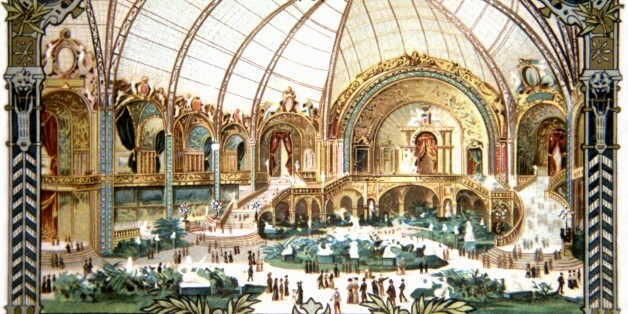 Precisely 100 years after Adams toured the Paris Exposition of 1900, Bill Joy, the co-founder and former chief scientist of Sun Microsystems, wrote his now famous essay in Wired magazine, "Why the Future Doesn't Need Us," projecting a dystopian future in which "our most powerful 21st-century technologies -- robotics, genetic engineering and nanotech -- are threatening to make humans an endangered species." Adams was not half so gloomy as Joy. From the vantage of the revolution of 1900, he welcomed our technological future, but with a crucial caveat: make sure our technology has a soul, not in the sense of superseding us as sentient human beings, but of living in spiritual harmony with our better selves. This was produced by Zocalo Public Square. 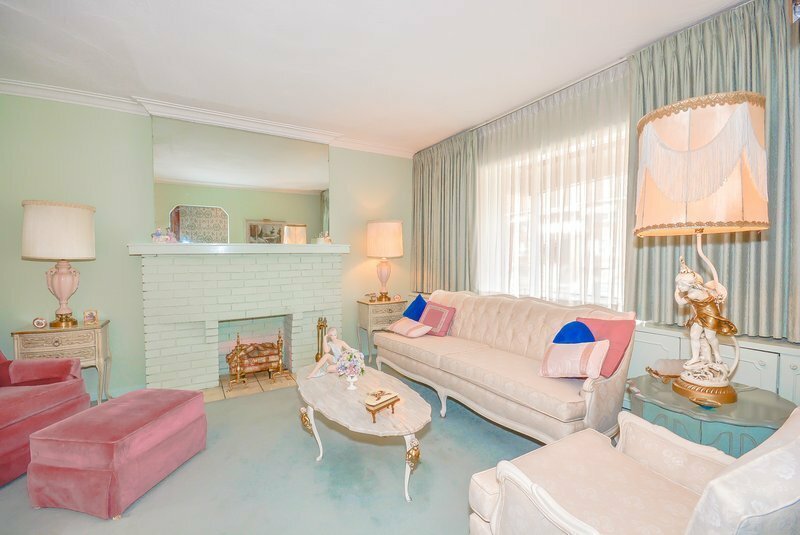 Basically an interior designer for retirees, the "<a href="http://careers2030.cst.org/jobs/nostalgist/" target="_blank">nostalgist</a>" will re-design living spaces for wealthy seniors to reflect their favourite decades. Just imagine living in a college dorm room or your grandmother's house for the rest of your life!